Feasibility, Safety, and Efficacy of Subcutaneous Peripheral Nerve Field Stimulation for the Treatment of Refractory Low Back Pain: A Two-year Single-center Study. Ishak B, Campos B, Brunn H, Unterberg AW,Ahmadi R.
Subcutaneous Trigeminal Nerve Field Stimulation for Refractory Facial Pain. Jakobs M, Schuh-Hofer S, Unterberg A,Ahmadi R.
J Vis Exp. 2017 May 10;(123). doi: 10.3791/55408. Subcutaneous trigeminal nerve field stimulation for refractory trigeminal pain: a cohort analysis. Jakobs M, Unterberg A, Treede RD, Schuh-Hofer S, Ahmadi R.
Acta Neurochir (Wien). 2016 Sep;158(9):1767-74. doi: 10.1007/s00701-016-2881-6. Epub 2016 Jul 2. Evaluation of neuropsychological outcome and "quality of life" after glioma surgery. Wolf J, Campos B, Bruckner T, Vogt L, Unterberg A,Ahmadi R.
Langenbecks Arch Surg. 2016 Jun;401(4):541-9. doi: 10.1007/s00423-016-1403-6. Epub 2016 Mar 30. Assessing perioperative complications associated with use of intraoperative magnetic resonance imaging during glioma surgery - a single centre experience with 516 cases. 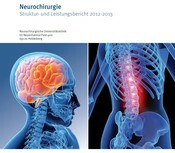 Ahmadi R, Campos B, Haux D, Rieke J, Beigel B, Unterberg A.
Br J Neurosurg. 2016 Aug;30(4):397-400. doi: 10.3109/02688697.2016.1161726. Epub 2016 Mar 23.